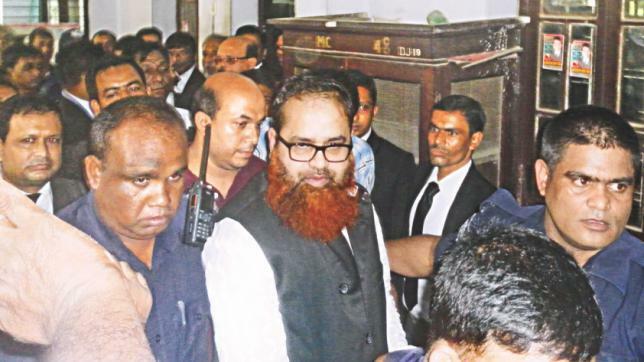 The High Court on Wednesday granted bail to former Awami League MP from Tangail-3 (Ghatail) constituency Amanur Rahman Khan Rana in a case filed over the killing of two Jubo League leaders. The High Court bench of Justice A K M Asaduzzaman and Justice S M Mozibur Rahman passed the order. The court also fixed Monday for hearing on a bail petition in another case filed over the killing of freedom fighter Faruk Ahmed. Deputy Attorney General Dr. Md Bashir Ullah stood for the state while lawyer Monsurul Haque Chowdhury for the accused. Baghil union Jubo League leaders Mohammad Shamim and Mohammad Mamun went missing on July 16, 2012 in the district town. The following day, Shamim’s mother filed a general diary with Tangail Sadar police station. Later, police arrested several suspects over the incident when two of the arrestees – Shahadat Hossain, 16 and Hiron Mia, 27 -- revealed that both of the Jubo League leaders had been murdered as the order of MP Rana.